Hydroponic Generations provides a number of calibration solutions suitable for the calibration of electronic pH and conductivity measuring instruments. These solutions ensure the instruments are working correctly. 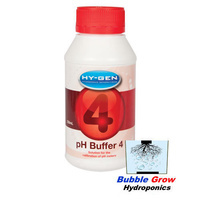 These include Hy-Gen Buffer 7, Hy-Gen Buffer 4. 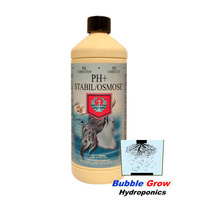 These are a must for the maintenance of nutrient solutions at an optimum working level. 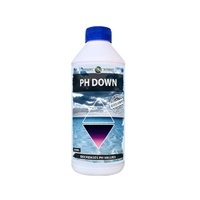 It is strongly recommended that conductivity be used since ppm does not accurately represent the true ionic content of the nutrient solution. 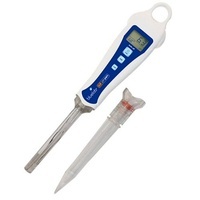 Re-calibrate meters weekly to guarantee accurate nutrient measurements. 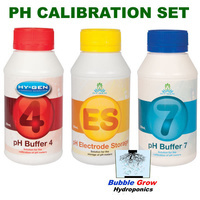 Using both Buffer 4 and Buffer 7 insures accurate calibration in this range (pH 4 to pH 7). 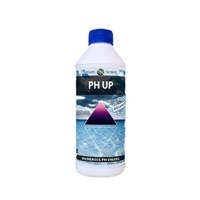 It is extremely important to care for and store pH electrodes correctly when not in use. 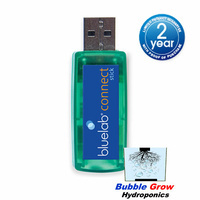 Hy-Gen Electrode Storage solution provides growers with a means by which they can prolong the life of their pH probes. 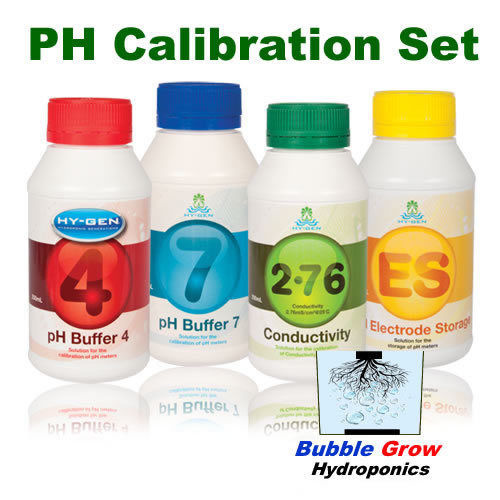 Too often, electrodes lose the ability to retain calibration because they were stored in distilled water or allowed to dry out. 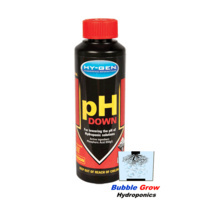 When pH electrodes are used regularly they should be rinsed with distilled water and then kept in Hy-Gen Electrode storage solution. 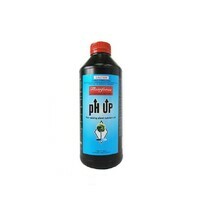 Ideally the pH glass sensing bulb should always be kept in the solution to maintain maximum response from the electrode.